One of the best things about our new Van Gogh Fossil Paints is that they are so versitile and also easy to use. 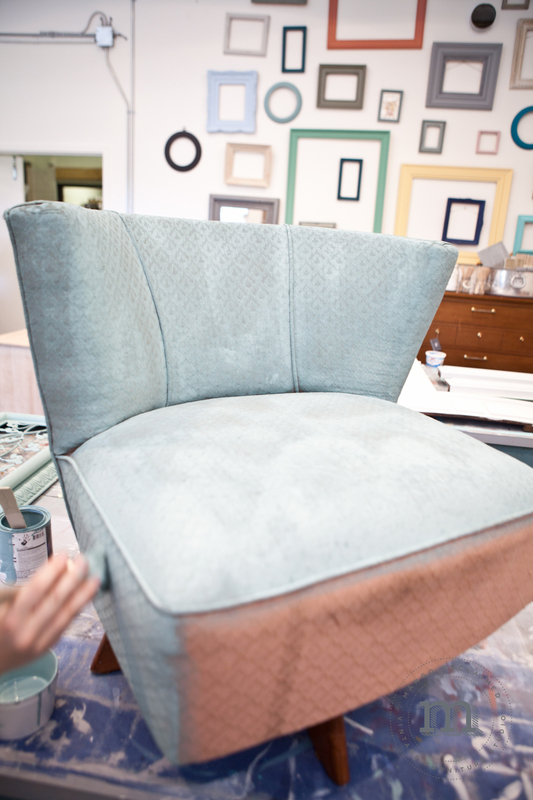 You can paint furniture, glass, tiles and even fabric! So far we haven't found much that can't be painted with this amazing paint. Another of our favourite features is that very little preparation goes into the process. Although we do recommend that you clean your piece first with some soapy water, using either washing up liquid or sugar soap. But there is usually no sanding needed whatsoever! Van Gogh Fossil Paint has been favoured by a select number of furniture stylists who all rave about the benefits of using these products. Mango Reclaimed is a creative and eclectic vintage furniture studio that uses Van Gogh Fossil paint. It is run by Melanie Curley and you can visit their website here.) We love the subdued tones that they use and the clean but pretty look that dominates much of their work. The attention to detail in the paintwork is truely beautiful and we think that they achieve that flawlessly elegant look perfectly! Here is one of their pieces before it was transformed using the Van Gogh Fossil Paint. I looks old and tired and definitely in need of some TLC! And here it is after the transformation! It looks absolutely gorgeous in gentle blue and white tones. It is fresh and bright, a far cry from it's old and dark version. Van Gogh Fossil Paint can give a completely new look to every piece of furniture. It is also water based so it's easy to change your mind and paint over it again and again to keep renewing your interior. The endless possibilities of the paint are thrilling and experimentation is the key! If you have an idea and it doesn't work out well then no worries! Because you can just paint over it. If you have already re-styled a piece of furniture using our paint why not send us a before and after picture like the ones shown here? We'd be happy to see your ideas and how the paint has worked for you! If you haven't tried our new paint yet then pop into our showrooms at the Shopping Courtyard, Mount Usher Gardens, Ashford, Co. Wicklow. You can even use Van Gogh Fossil Paint on fabrics and upholstered furniture. The piece above has three coats and then a wax on top of that as well. If you want to find out how they did it you will find a tutorial on thier website by clicking here.